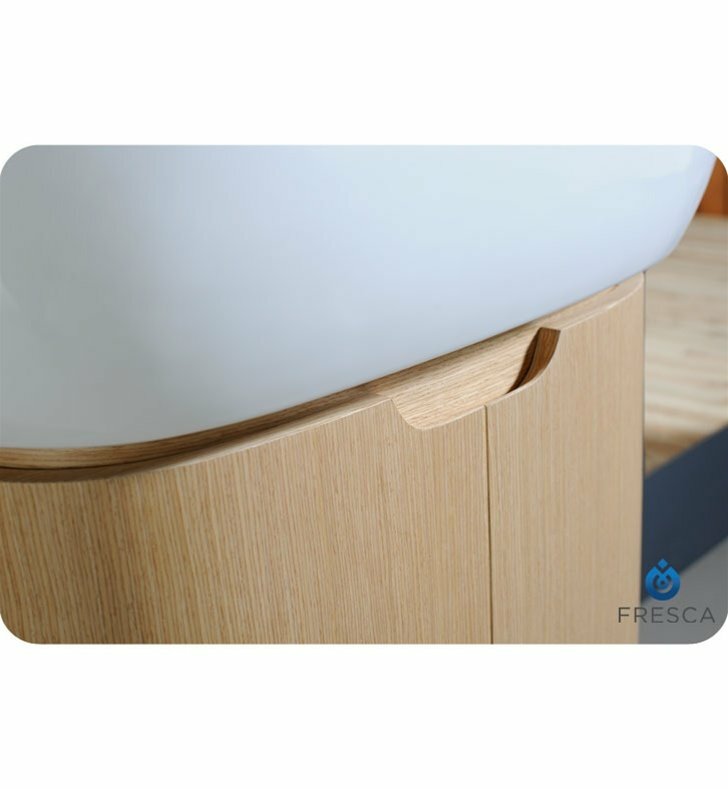 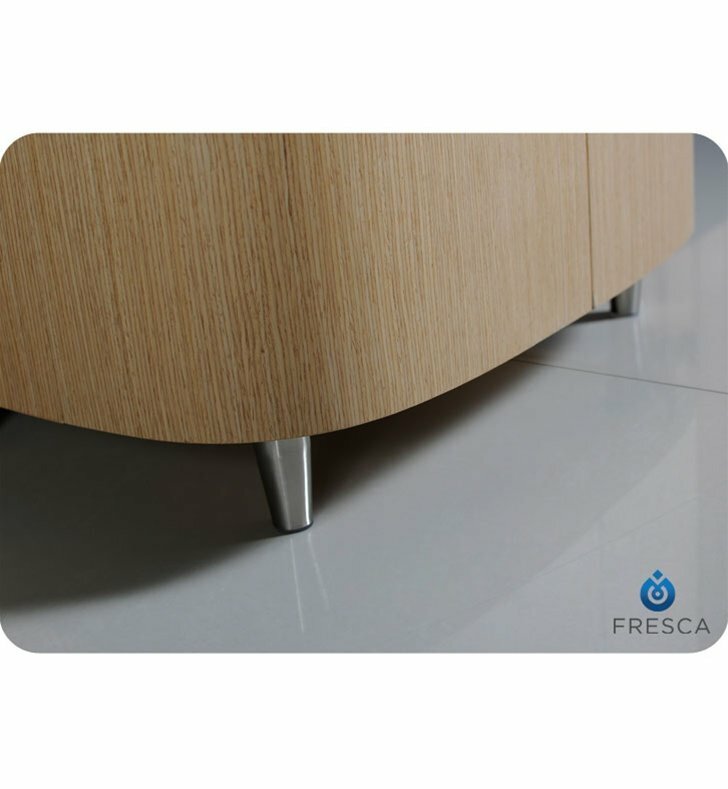 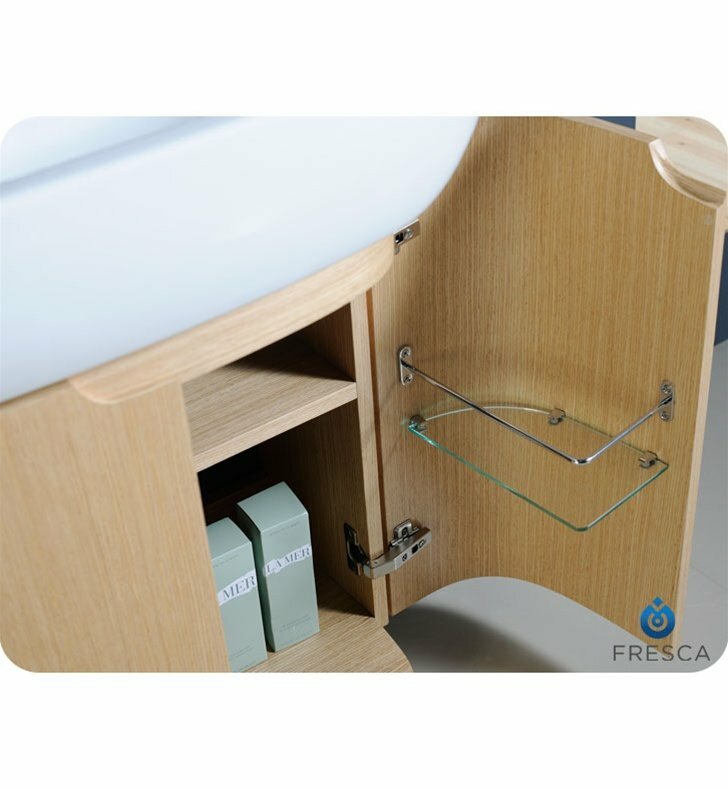 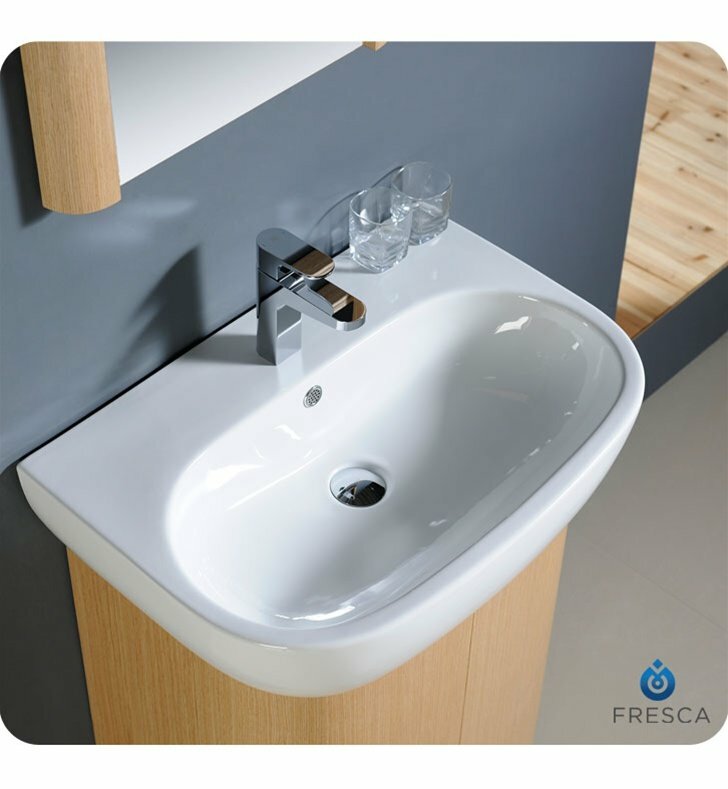 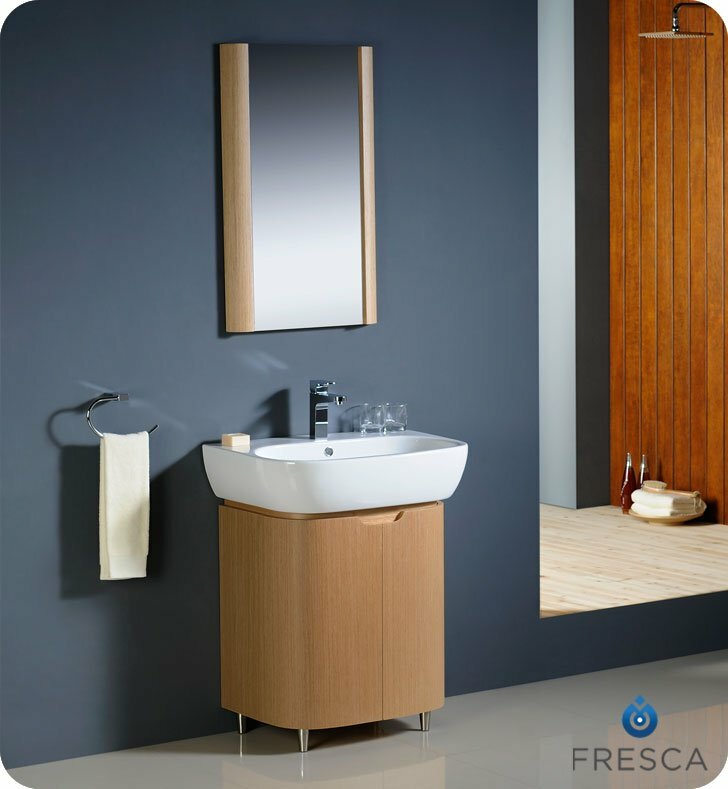 Cleverly designed, the Fresca Andria Modern Bathroom Vanity in oak, model FVN3025LO, offers maximum storage for small bathrooms. 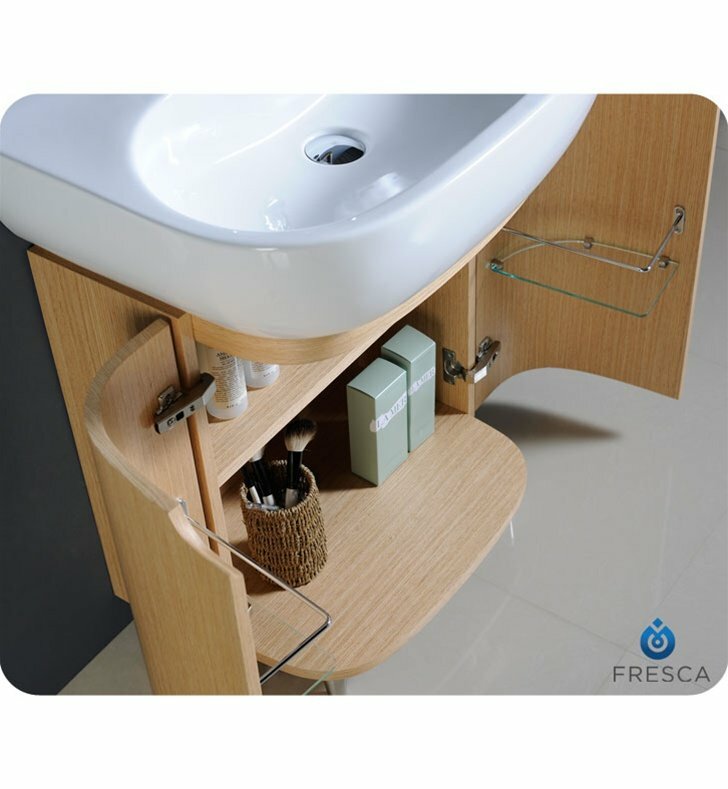 This 26-inch vanity features a curved wood base with two deep shelves and extra glass shelving in the doors. 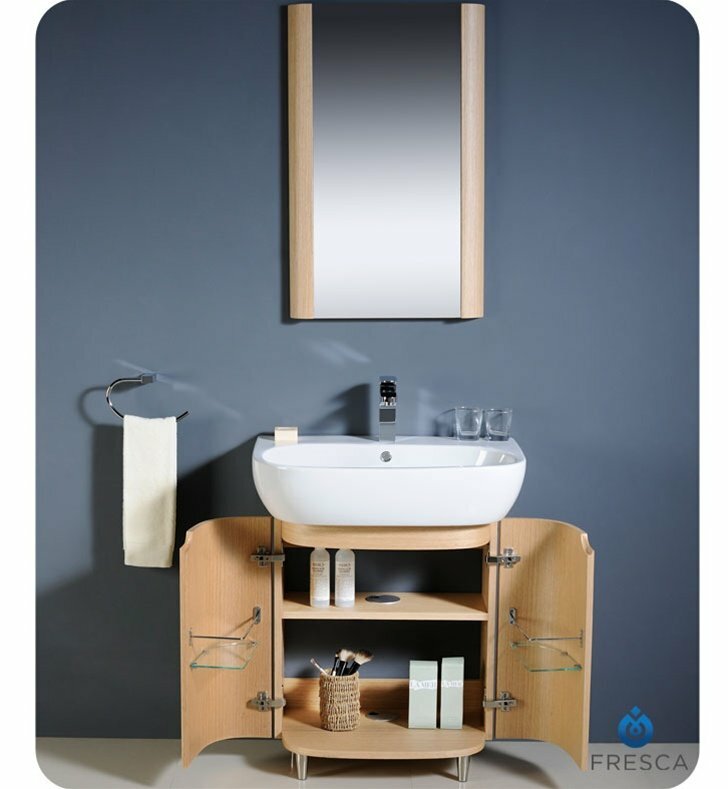 Topped by a large, deep basin sink with a single-hole faucet, the space-saving design of this oak bathroom vanity also lends a contemporary touch to your decor. 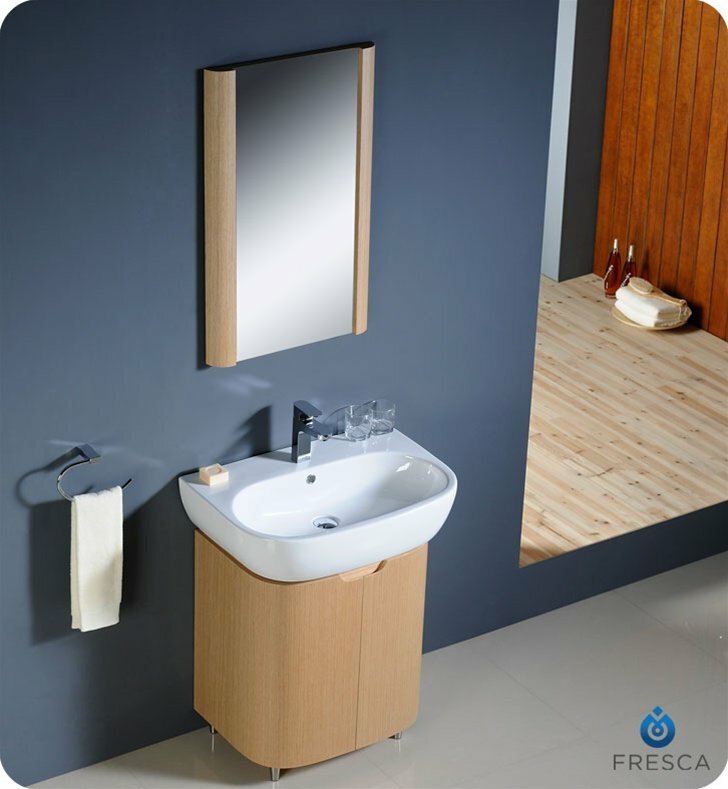 A matching mirror completes the look. 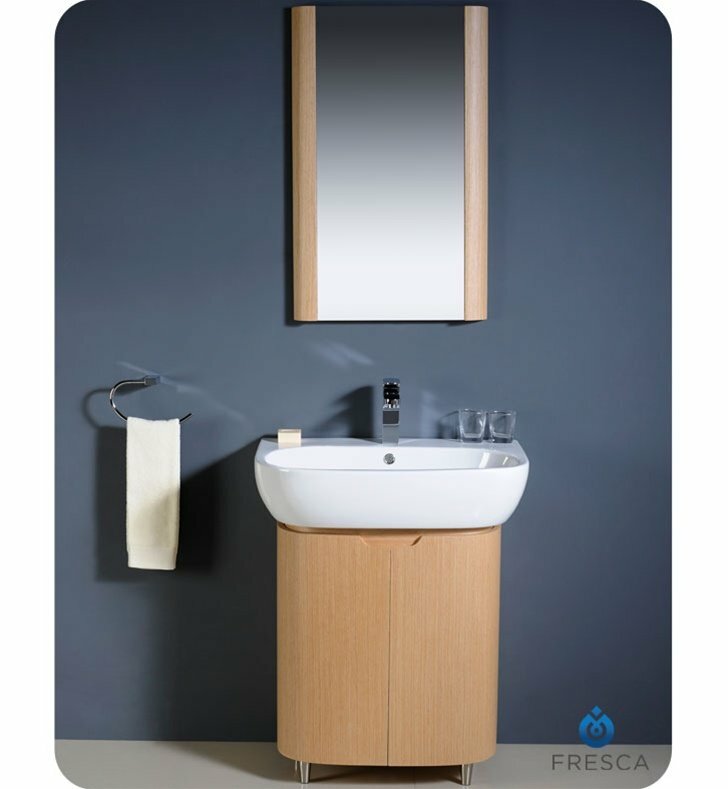 Vanity: W 26" x D 17 3/4" x H 33 1/8"
Mirror: W 19 3/4" x H 31 1/2"